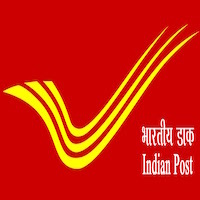 Online Application Details for Madhya Pradesh Postal Circle India Post Recruitment of 23 Postal Assistant and 4 Sorting Assistant is given below. Application form and duly attested documents are to be sent to Assistant Postmaster General (Estt. / Rectt. ), Room No. 205, II Floor, O/o the Chief Postmaster General, M.P. Circle, Bhopal-462 012. In envelope super scribed with 'Application for the Post of Post Name'.